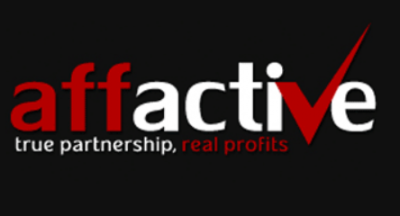 Programs affiliated with Revenue Jet and Affactive where closed down on Thursday after the owners of the two online casino where arrested on cases pertaining online betting. GPWA made the confirmation that the arrest of the two owners of the online casino and the shutting down of the program. This was through conversations with the managers of Affactive franchise. On the same day also, GPWA suspended its sponsorship on Affactive following the matter. The online casino was owned by Gery Shalon who is 31 of age and Ziv Orenstein who is 40 years old. The two were arrested at their homes in Israel on Tuesday. U.S authorities are accusing them of being involved in a stock manipulation scheme that is referred to as the “pump and dump” which started way back in 2001. This follows an indictment that was filed in New York which charges the two suspects alongside Joshua Samuel Aaron a United States citizen, 31 years of age and lives in Tel Aviv and Moscow. They are charged on cases and accounts of securities and wire fraud, money laundering and identity theft. Following a statement that was made on Wednesday by the United States Securities and the Exchange commission, the three suspects are said to have gotten several shares in many penny stocks. They then increased the prices by up to 1800 percent and through illicit proceeds sold out the shares and made up $2.8 million on the lower scales. When the arrest of Shalon was made, Israel Hayom found 2 million shekels after a search of his property an amount that is equivalent to $520,000. Orenstein and Shalon where again linked to the 2014 hack of the JPMorgan Chase based on a report from by Bloomberg following an FBI document pertaining the case. In this scandal hackers had managed to mine great amounts of data from customers’accounts for several months and managed to avoid any detection. On hearing the news on the arrest of the owners of both companies, GPWA members pointed out on cases and complaints that had been passed before on the two online casinos especially on cases that dealt with payment of the players. Some of the brands that where promoted by Revenue Jet include Classy Coin Casino, OnBling Casino, Grand Parker Casino and Loco Panda Casino. While those of Affactive being Golden Cherry, Jackpot Grand Casino Titan and Win Palace casinos.